This product is now obsolete. See the BW GasAlert Extreme for Chlorine Dioxide Detection. Please note: the ToxiRAE II is now obsolete. Contact us on 0141 771 7749 for more information on support for this item. View the BW GasAlert Extreme for Chlorine Dioxide (CLO2) detection. 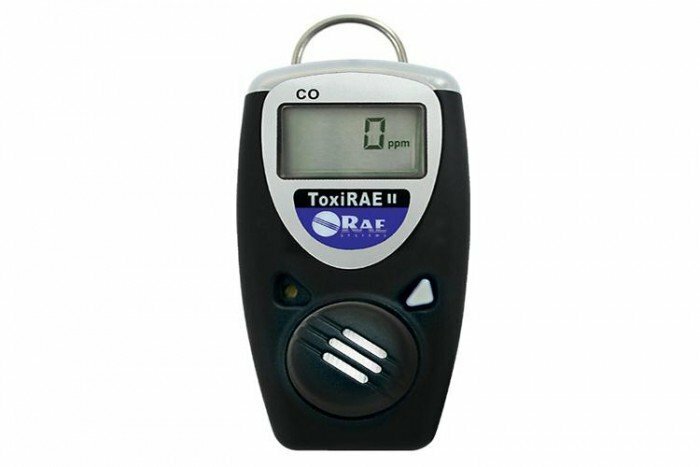 The ToxiRAE II is an intrinsically safe Chlorine Dioxide monitor. It’s ideal for applications including the oil and gas industry, chemical plants, fire service, industrial safety, pulp and paper and waste-water treatment plants, landfill operations, power plants and also steel mills. Various other sensors are available for this compact and lightweight single gas detector. The corrosion-resistant, stainless steel alligator clip will give you the confidence that your CLO2 monitor can be safely secured onto a hardhat, shirt pocket, shoulder strap or belt. Even though the ToxiRAE II continuously displays gas concentration, short-term exposure limit (STEL), time-weighted average (TWA), and peak values for gases such as H2S, CO, O2, NH3, CI2, CIO2, HCN, NO, NO2, PH3, and SO2 (depending on the unit you’ve purchased), the supplied battery will last for around a staggering 2 years, assuming typical use of about 8 hours a day.